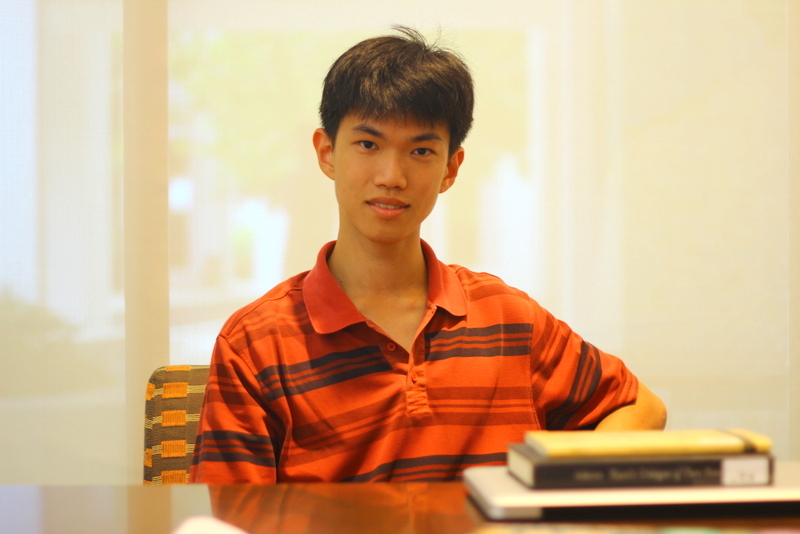 We interview yet another MC nominee, Jonathan Chua Yi, a Year 4 Philosophy major who is running for Honorary General Secretary. Q. Could you tell us more about why you decided to run in your fourth year? There are a lot of issues in USP that I’m generally not satisfied with at the moment, and I feel that with the experience I have as a Year 4, I still have a lot to contribute to this community. But there are also other reasons behind it, which is that I also want to put certain ideas that I have for the longest time into practice (you can read Jonathan’s manifesto here). And that is what I personally would be getting out of it: an experience of whether these ideas can work or not. One of the key ideas that I’ll put into place is the idea of student leadership and how it should be run, as well as participatory budgeting – or rather participatory practices within the Singapore context – which I believe is necessary if you want Singapore to change for the better in the future. Because if you have this kind of participatory practices in place, then potentially you open up Singapore society to changes in the way politics is done. You have this bunch of incredibly intelligent and hyperactive people going up to influence the top echelons of society in the future. And these people will have the kind of experiences that most other Singaporeans will never have. And that is where I see this kind of radical potential in USP to affect Singapore society in general. Q. So, let me try to understand what you are saying here. Are you saying that the USP student government could be like an incubator for experimentation in the political system that the state government could look at as a model of what could be done? And perhaps also a training ground for future politicians, to allow them to cut their teeth on a lower level before going up? Partly, but I’m also thinking that it’s not necessary for us to deploy these kind of practices at such a high level that it’s only if you are going to be a politician can you do participatory stuff. At the lower level, say the way you practice architecture, the way you do engineering, or your capacity as a bureaucrat: these are positions where I think one can benefit from having a participatory experience, because you are not just doing your duty according to what society has dictated. But you can draw on these experiences in your student life and change the way things have been done even in ordinary capacities as individuals in society. To give an example of how participatory practices can benefit professions like architecture, the traditional role of an architect is to decide for the rest of the community how the building should be constructed and designed. But if you have participatory practices in place, then it’s more of a consultative role between the architect and the people. Q. So you might avoid design fiascos like what happened with Cinnamon College. Yeah, precisely. Cinnamon College is one of the examples of architecture that is top-down. There was consultation with the people, but obviously they didn’t take our feedback into account when they built Chatterbox. Q. These political ideas that you want to put into practice; where did these ideas come from? It came from some of the ISMs I did while I was at the Australian National University on the Joint Degree Programme for the past three semesters. While I was there, I did an ISM under a professor of political theory called John Dryzek, where I was introduced to ideas of deliberative democracy. The idea of deliberative democracy is that decisions by people in positions of power can be considered legitimate or acceptable only if they are done with the reflective assent of people who are affected by the decision. This means that any decision made by someone like say, the provost of NUS, can be considered legitimate deliberative democracy if most of the stakeholders are reflectively in agreement with the Provost about the intents and purposes of the decision. This makes a lot of demands on the leader to consult and discuss decisions with people and not just among his close circle of advisors. And that’s the point of deliberative democracy. It’s supposed to empower the people in general rather than keeping it to the meritocratic elite. So that’s where I was very inspired by these ideas of participatory development and participatory politics. I was wondering how this would be deployed in the Singapore context, because Singapore has traditionally been very meritocratic, some would argue authoritarian, but the idea of democracy is to some extent not even considered seriously, because we simply haven’t had any kind of experience about it except from what we hear from in the US, and even so generally what we find there is a pretty poor shadow of what democracy used to be in the past. Q. At the Q&A, you mentioned, and I quote, how you ‘unequivocally reject Rag’. You also mentioned that you were a Rag Director and that it was the biggest regret of your university life. Could you share why your personal experience with Rag has made you decide to oppose it? When I first started Rag, I was quite naïve; I thought that Rag has the purpose of bonding people together with a common identity by having gone through hard work and painful experiences. There is some basis to this belief, because I was in the first cheerleading group that USP ever had. It was when I was a freshman that USC decided to start having a cheerleading component to the performances. So I was one of the first people to be part of this cheerleading group, which has since become much better than we were back in Year 1. My impressions of Rag when I ran for Rag Director were informed by this cheerleading experience where I experienced fantastic camaraderie and had a lot of fun. But I didn’t do much of the engineering and design of the float, and I wasn’t involved in the costumes. So I was kind of deficient in my knowledge of those aspects. I think the lack of experience in these areas really showed when I became Rag Director. I knew roughly how to do all these because past experiences with the Scouts helped, but when it actually comes down to getting the work done, it is extremely depressing. Because when you come in as a freshie into Rag, you are basically coming in during the last month of Rag. What you experience as a freshman is pretty much a condensed version of what the seniors had to experience, which is basically three months’ worth of hard work. And for the first two months of these three months, you are working alone. You have no help from anyone at all. It is just very difficult to get anyone else to come down to help you because they are busy doing their own projects during FOP, be it Camp Comm, O-Week, or D&D. So this means that the number of raggers working from May to late June will be ten at the maximum. These ten people will have to be working 9 to 5 – maybe even 9 to 9 – five days a week for two full months. And these ten people are the maximum you will ever get in one day. In reality, it’s more like five people, and it’s very depressing to have to build a whole float with just five people every single day – very, very depressing. When the freshmen come in, it’s much more enjoyable because you have such a large group of people to work with. And if you are in the performance, then lucky you! Because performance is really really fun! And I don’t deny that the performance is one of the biggest draws of Rag, because the Rag performance is one of the main sources of bonding and friendship. But if you are in engineering or design, there is a tendency to run into a lot of conflicts, because people disagree with how things should be done, and they blame each other if things fail. It’s very easy for your team to enter into internal disagreements that just don’t get solved. Basically what I’m trying to point out in recounting this experience is that there are a lot of underlying divisions within Rag teams that I wouldn’t wish any other team to have to go through. It’s not worth it for five minutes’ of performance. And the loneliness that your entire team has to go through is seriously not worth it either. The second important point is that these five to ten people, generally speaking, will be the more driven people. People who agree to Rag will have to be of a certain quality, otherwise they wouldn’t even want to challenge themselves to take on such a huge role. They are very talented people; every single Rag team will consist of highly qualified individuals in their own daily capacities. Now, you are taking all these ten people from USP to do Rag, and you are going to burn them out by the time Rag ends. So basically these people will have their holidays destroyed by Rag, and they will not be able to do anything for the next semester after that. I just feel that it’s such a waste because these people who could have been doing something much more productive, much more fruitful than what they spent their entire summers doing, which is, bonding the community? Bonding is not a sufficient reason because there are other ways to get the bonding done that does not require you to waste talent in this kind of manner. On that sombre note, thank you Jonathan for the interview. We wish you all the best in the MC elections! The voting period is currently open until 5pm tomorrow, so place your votes at this link!